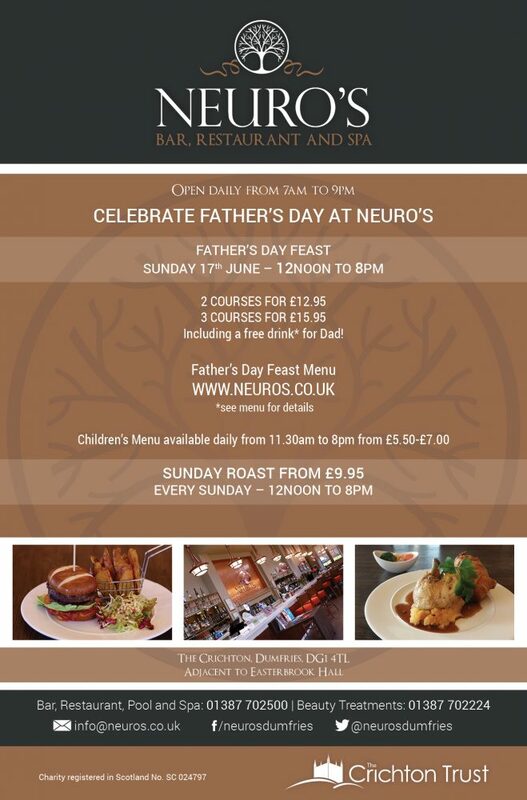 What about a Father’s Day Feast at Neuro’s? 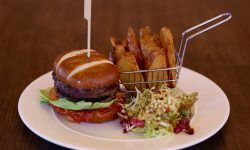 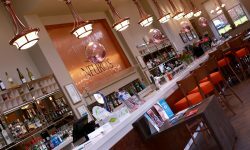 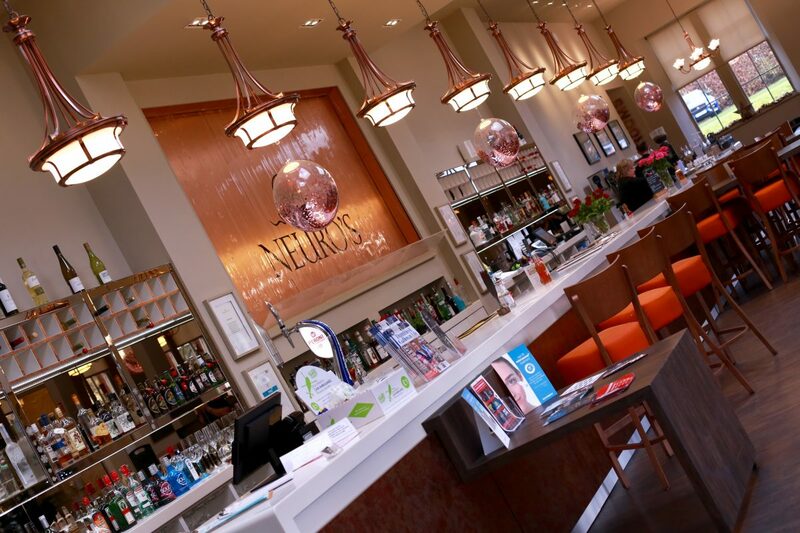 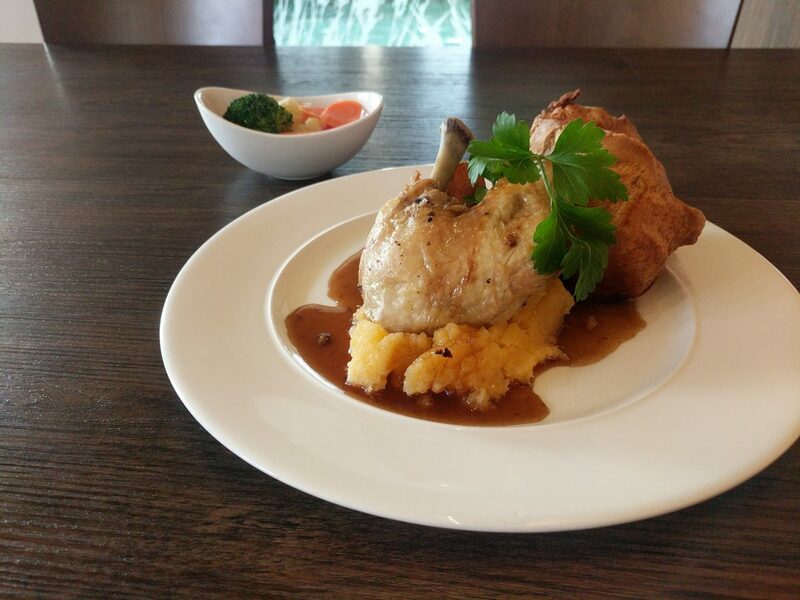 On Sunday 17th June, Neuro’s will be serving a 2 and 3 course Father’s Day Feast from 12noon to 8pm. 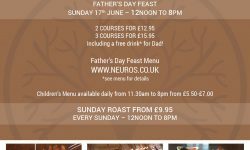 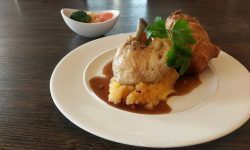 2 courses for £12.95 and 3 courses for £15.95 including a free drink* for Dad! 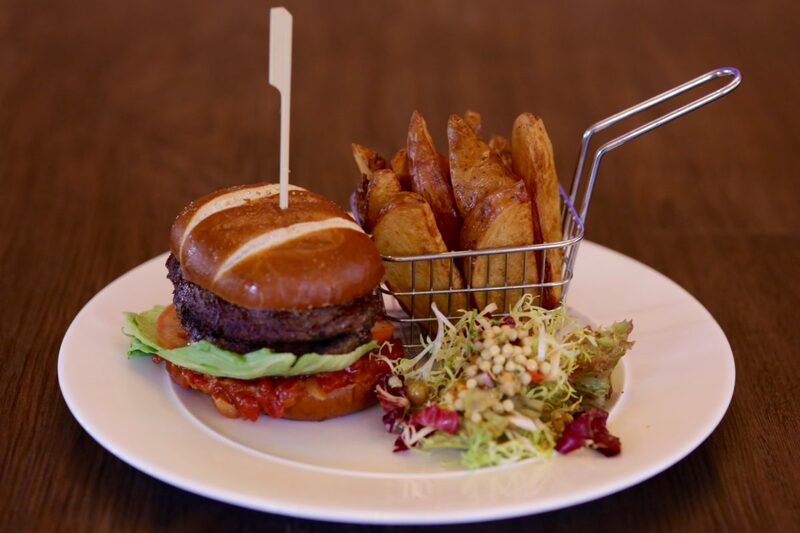 Children’s menu available daily from 11.30am to 8pm (£5.50 – £7.00).